string(1334) "Resource Centre > Uncategorized > The Role of Recruitment Fees and Abusive and Fraudulent Recruitment Practices of Recruitment Agencies in Trafficking in Persons"
The purpose of the paper is to examine the relationship between recruitment fees and other abusive and fraudulent practices of recruitment agencies and trafficking in persons, with a particular focus on criminal justice measures to address this relationship. 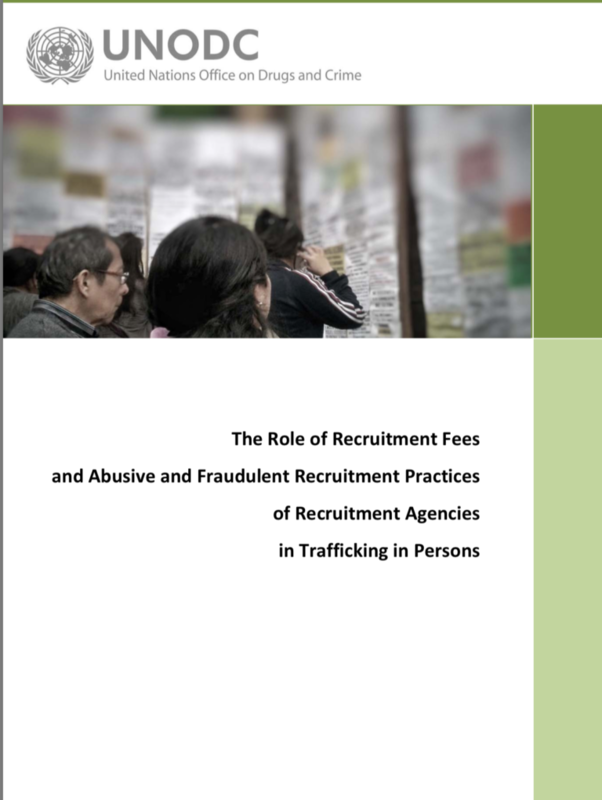 While there have been numerous incidents of abusive recruitment practices and subsequent labour exploitation reported in all parts of the world, little is known about how states respond to the phenomenon and whether they use their anti-trafficking legislation to prosecute persons involved in such re- cruitment practices. The paper examines the state practice with a view to highlighting lessons learned and providing recommendations on how to adequately respond to the issue.